What Data to Enter for a Penny Stock Screener? Penny stocks trade for significantly less than larger competitors. 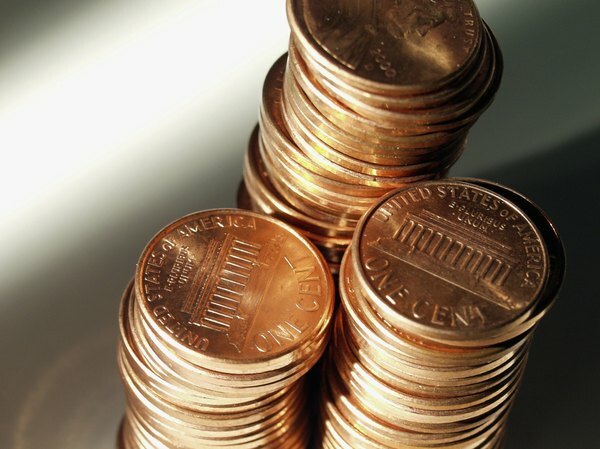 According to the U.S. Securities and Exchange Commission, a penny stock is one whose value is under $5 in the stock market. As smaller entities, the companies behind penny stocks generally have less demand for their shares, making these holdings particularly challenging for stock traders to analyze. A stock screener can help you sift through penny stocks to find stocks that are best prepared to make large upward price moves and eventually move above the $5 level. Knowing what data to enter for a penny stock screener will help you find the best low-cost trades. There are no true penny-stock screeners. Rather, investors seeking penny stocks use general stock screeners to identify shares that fall into the penny category. Screen for stocks with a price under $5 if you wish to analyze holdings that fall within the SEC's definition. Consider reducing the value to below $3 if you wish to find even less expensive penny stocks. The price-to-earnings ratio compares a stock's current price in the market to its earnings per share. For penny stocks, screen for price-to-earnings ratios below 1. A value below 1 indicates that a company earns more profit per share than the cost of each share. This can be a prime indicator that a stock's price will rise in the future as the company earns investors' attention with a highly profitable business model. Screen for analysts' estimates for upcoming earnings per share, or EPS. Look for high expectations in EPS in the near future. Set the criteria closer to a 100 percent increase if you are looking for fast-growing companies primed for significant stock-price increases, and lower the value if you are seeking steadier earners. Earnings per share is an important metric to analyze how well a company manages its outside investment to earn profit above and beyond what investors put in. This a key consideration when determining the future value of a smaller corporation. If you are intimately familiar with a specific business industry, screen for stocks within that industry. A company's business model, product mix, marketing and management can go a long way toward pulling a stock out of the penny category, and personal experience in an industry can help you gauge a company's strength in these areas. Look for companies that you personally expect to do well given your understanding of the competition and consumer preferences in the industry. Screen for companies with a higher-than-average profit margin. A robust profit margin can allow a company to grow organically rather than taking on additional debt or selling additional shares of stock. This is an important consideration for a company's ability to remain profitable over the long term while boosting its earnings per share. Small corporations with large profit margins can be well positioned to move quickly out of the penny-stock category to compete with the major players in their industry. Is a Lower Price-Earnings Ratio Better?